The Dalai Lama gives a public talk during a Children in Crossfire conference in Londonderry, Northern Ireland, September 10, 2017. The process of selecting the Dalai Lama has often been fraught with intrigue and violence. Tibetan masters recognized each successive Dalai Lama as a reincarnation of his predecessors; after a Dalai Lama’s death, they searched for his reincarnation among recently-born children, interpreting various signs and clues to do so. (Martin Scorsese dramatized this tradition in his 1997 film Kundun.) An inherent political weakness in this process was the interregnum—the time between the previous Dalai Lama’s death and the eventual maturity of his successor. Regents appointed to rule during the interregnum period often lacked authority among the people, and a suspicious number of Dalai Lamas died at young ages as various individuals vied for power and influence. This historically tense interregnum period promises to be even more fractious under the current circumstances, with the Dalai Lama exiled in India and Beijing asserting that it alone has the final say in anointing his successor. Even though the Dalai Lama voluntarily devolved his authority as a temporal leader to the elected Tibetan government in exile in 2011, his status as Tibetan Buddhists’ spiritual authority remains unchanged—and, indeed, is the source of Beijing’s continued frustration with and fear of him. 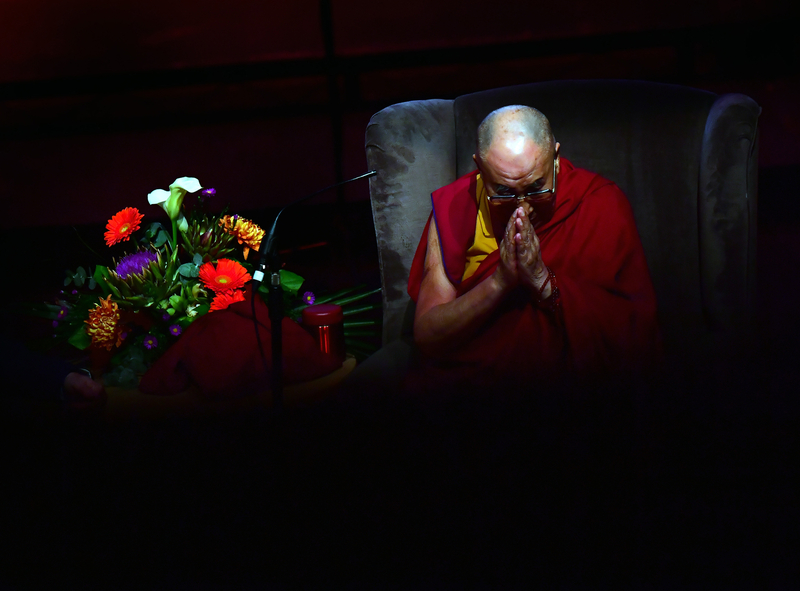 As one possible way to avoid the interregnum problem, the Dalai Lama issued a statement in 2011 that offered an alternative to reincarnation as the mechanism to determine a successor. Briefly, this involves the concept that superior Bodhisattvas can manifest themselves into multiple bodies simultaneously, and can thus “manifest an emanation” while still alive. This would allow the Dalai Lama to “emanate” into another person before his death, thereby expressly choosing his successor. The statement also says that, “Alternatively it is possible for the Lama to appoint a successor who is either his disciple or someone young who is to be recognized as his emanation.” (Former Director of the Modern Tibetan Studies Program at Columbia University Robert Barnett’s analysis of this statement offers a deep dive into the details of the emanation mechanism.) Notably, the statement does not definitively rule out reincarnation, but rather offers the theological underpinning for continuing the Dalai Lama lineage even if selection is based on some other mechanism. Though the concept of emanation avoids the interregnum problem, it has its own shortcomings; it may prove a tough pill for devout Tibetan Buddhists to swallow, as this would be the first time that the Dalai Lama would have only emanation status and no reincarnation status (it is possible to have both). [R]eincarnation is a phenomenon which should take place either through the voluntary choice of the concerned person or at least on the strength of his or her karma, merit and prayers. Therefore, the person who reincarnates has sole legitimate authority over where and how he or she takes rebirth and how that reincarnation is to be recognized. It is a reality that no one else can force the person concerned, or manipulate him or her. It is particularly inappropriate for Chinese communists, who explicitly reject even the idea of past and future lives . . . to meddle in the system of reincarnation and especially the reincarnations of the Dalai Lamas . . . Such brazen meddling contradicts their own political ideology and reveals their double standards. Should this situation continue in the future, it will be impossible for Tibetans and those who follow the Tibetan Buddhist tradition to acknowledge or accept it. For Tibetans who follow the Dalai Lama, this closes off all possibility that any option offered up solely by Beijing could be considered legitimate. Not only does the Dalai Lama have the exclusive prerogative to decide whether or not he reincarnates, the C.C.P. explicitly does not have the authority to declare a successor. Beijing, by contrast, insists that Tibetan Buddhist reincarnations—including the Dalai Lama—can only be selected with approval from the Chinese government. In 2007, it issued regulations to “institutionalize management on reincarnations of living Buddhas,” which require that only legally-registered temples can submit applications to receive a “living Buddha permit.” Even before the Dalai Lama’s 2011 statement, a Chinese government official said that the Dalai Lama does not have the right to alter the succession process and must follow the “historical institutions and religious rituals of Tibetan Buddhism.” The same official said in 2015 that the Dalai Lama’s comments on emanation or ending the Dalai Lama line “profane” Tibetan Buddhism. Beijing’s claims of succession authority rest on a reincarnation selection process involving what is known as the “Golden Urn.” At the end of the 18th century, the Qing dynasty ordered that, after Tibetan masters had identified one or more candidates for a lama’s reincarnation (including but not limited to the Dalai Lama), the names of the candidates were written on tally sticks, put into a designated receptacle—the Golden Urn—and one candidate’s name drawn out. The Golden Urn was indeed used in a number of reincarnation selection processes, and when it was not, the Qing’s representatives in Tibet were still consulted and kept the capital informed of the selection process. The Dalai Lama’s and Beijing’s stances are in fundamental opposition to each other, boding ill for a neat resolution to the eventual succession process. It is the Dalai Lama’s own spiritual authority that has tamped down Tibetans’ violent resistance to Chinese rule in recent decades, though violent attacks in Tibetan areas are not unheard of. Without the Dalai Lama’s force of presence, the risk of violence in Tibetan areas of China increases dramatically. While the Chinese government has positioned itself to respond quickly and decisively to any unrest, this does not mean that Tibetan areas would not still see some outbreaks of violence or a simmering, low-level insurgency. The result would likely be more bloodshed, further human rights abuses, increased numbers of Tibetans fleeing the country (though the P.R.C., with Nepal’s help, has been largely successful in stemming outflows of Tibetans seeking to leave China permanently), and perhaps even violence elsewhere in the world if exile Tibetans decided to attack Chinese facilities abroad. All of this is possible even without considering the succession question. Add succession into the mix, however, and there are additional complications. Should the Dalai Lama decide to continue his line, he would almost certainly reincarnate or emanate outside of China; Beijing, no matter what the Dalai Lama says regarding his succession plans, will almost certainly orchestrate a search for his successor among children in Tibet. In fact, the P.R.C. already has a clear template for how to identify and anoint a high Tibetan lama: In 1995, after the Dalai Lama (in absentia) named one Tibetan boy as the reincarnated Panchen Lama, Chinese authorities functionally kidnapped the child and his family, naming and installing their own chosen boy as the next Panchen Lama. (The fate of the Dalai Lama-appointed Panchen Lama, Gedhun Choekyi Nyima, remains unknown.) This example speaks to Beijing’s willingness to use strong-arm tactics in matters of Tibetan Buddhist succession. If the Dalai Lama indeed reincarnates or emanates outside the P.R.C.’s borders, what might Beijing’s diplomatic reaction be to the country where the next Dalai Lama lives or is born, if that country does not take swift measures to denounce the lama’s legitimacy? Could Sino-Indian border tensions increase if Beijing deems New Delhi too supportive of an exile Tibetan community that rejects Beijing’s claims of authority on the Dalai Lama’s reincarnation? What if more Tibetans do manage to make their way to India as refugees? What role might the United States play in any such international drama? Washington, across administrations and branches of government, has long expressed concern over Tibetans’ religious freedom. Last week, Ambassador at Large for International Religious Freedom Samuel D. Brownback said Chinese authorities’ handling of the Panchen Lama selection “indicates that they are likely to interfere with the selection of the next Dalai Lama. The international community must make clear now that we believe that members of the Tibetan communities, like members of all faith communities, should be able to select, educate, and venerate their religious leaders without government interference.” So while the United States does not take a position on how precisely the Dalai Lama’s succession should proceed, it does clearly state that the decision should rest in the hands of the Tibetans themselves—thus implying any unilateral action on the part of the Chinese government would likely not be recognized as legitimate by the U.S. government. The Dalai Lama may be aware of the risk of additional domestic or international turmoil if his succession is not more definitively delineated in advance. In his 2011 statement, he indicated that he would announce a decision about his successor, or at least outline a clear selection procedure, when he was about 90 years old (in 2025). Yet, it may be that he and other Tibetan religious leaders are looking to speed up this timeline; a committee of high priests was supposed to convene in November 2018 to find a way that “one elder, truly popular and respected, can be chosen as Dalai Lama.” That particular gathering was later postponed indefinitely. The pressure to find a bloodless way forward, however, continues unabated.